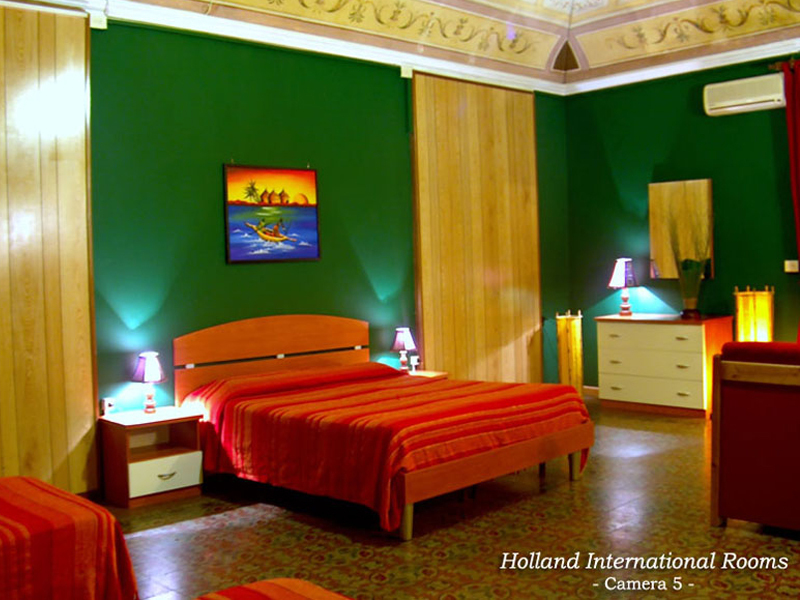 "Holland International" is situated in the 18th century palace "Guttadauro di Reburdone", in the heart of the historic centre of Catania. 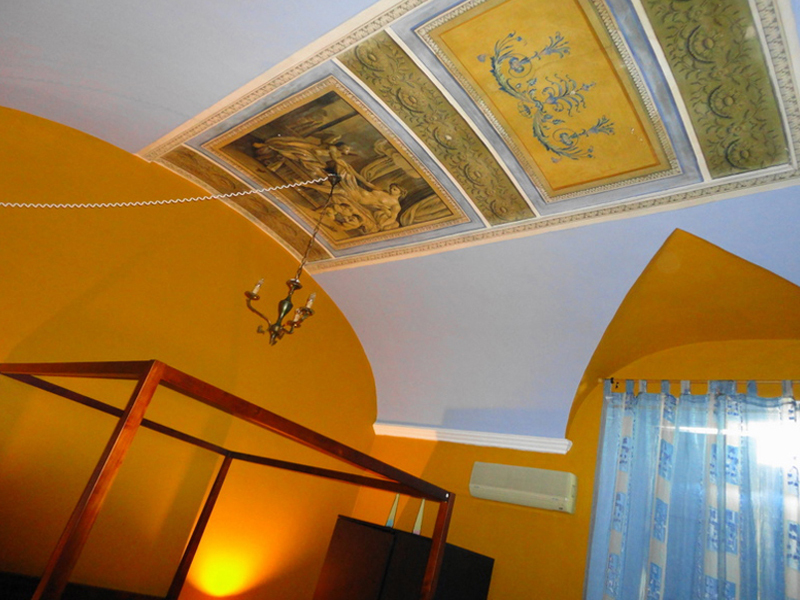 The palace benefits from a central position: from here it is 600 m to via Etnea and to the main square of the city, Piazza Duomo, and just 400 m to the central train and bus terminal. 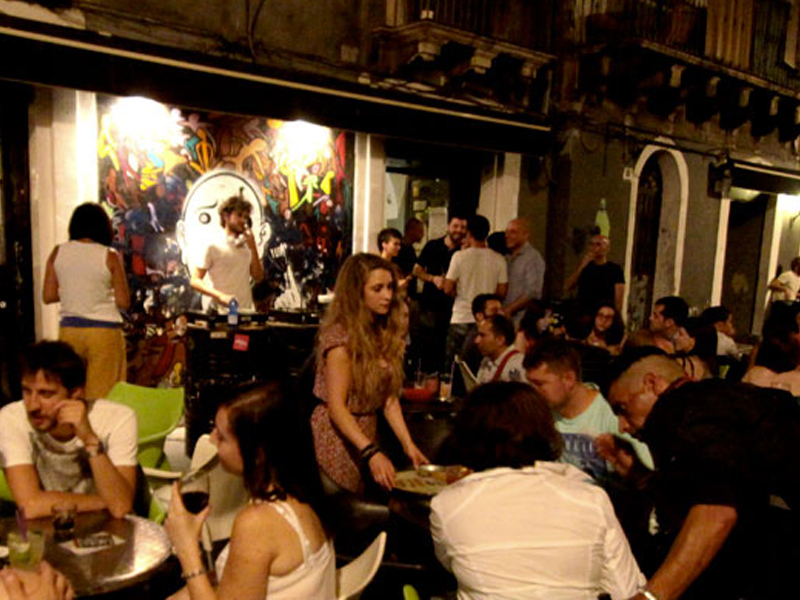 In this way it is located inside the cultural and artistic centre of the city, among monuments and baroque style palaces, modern and ancient theatres and, obviously, pubs, restaurants and pizzerias. 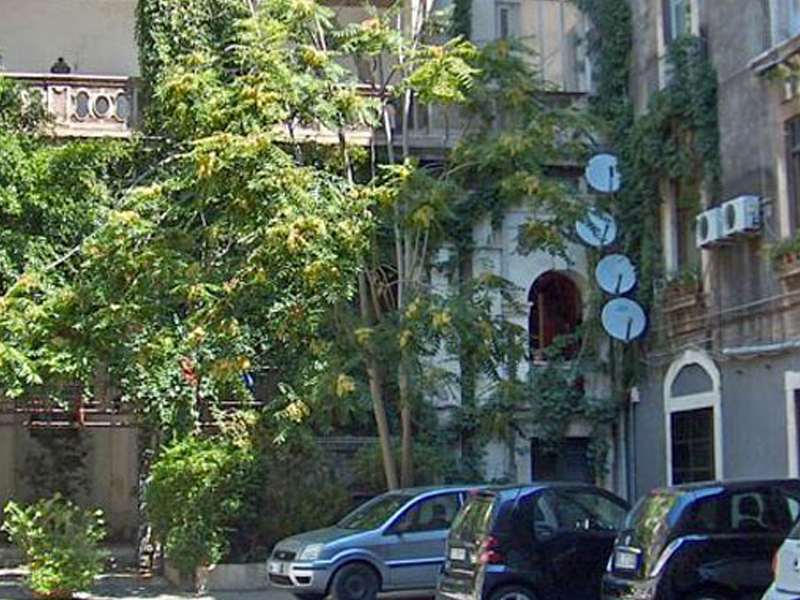 But, in the same time, the architecture of the palace offers a quiet environment and its position makes locations outside the city centre easy to reach by public transport. 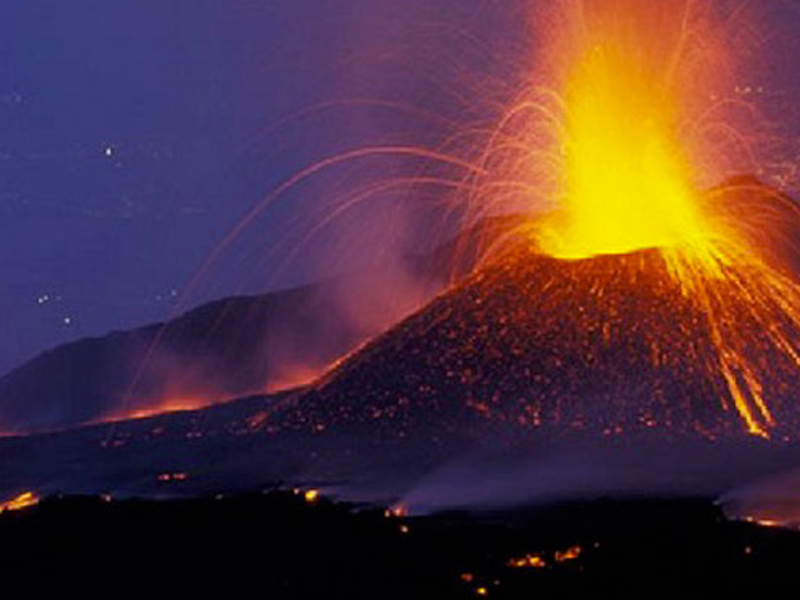 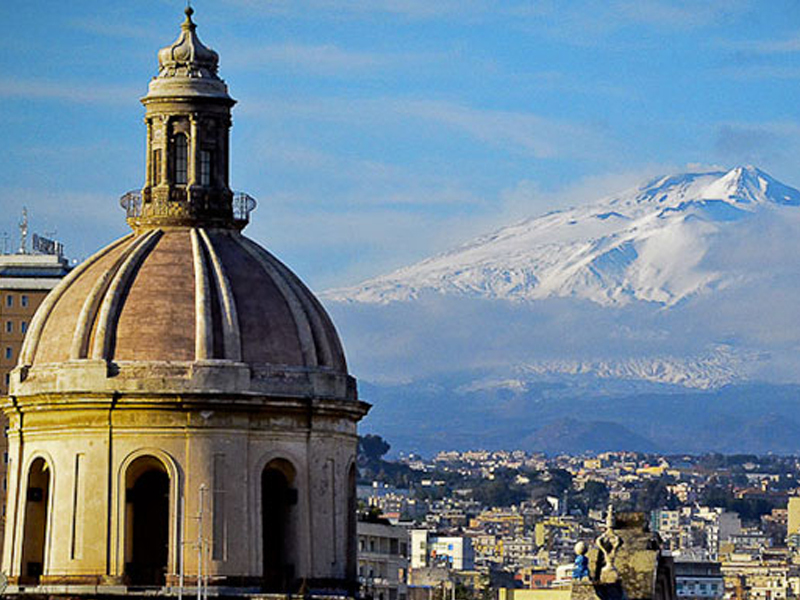 Catania is in fact an ideal city to plan excursions around the Etna volcano, and to reach touristic locations like Taormina and Siracusa.The Guest House is maintained by an Italo-Dutch family. 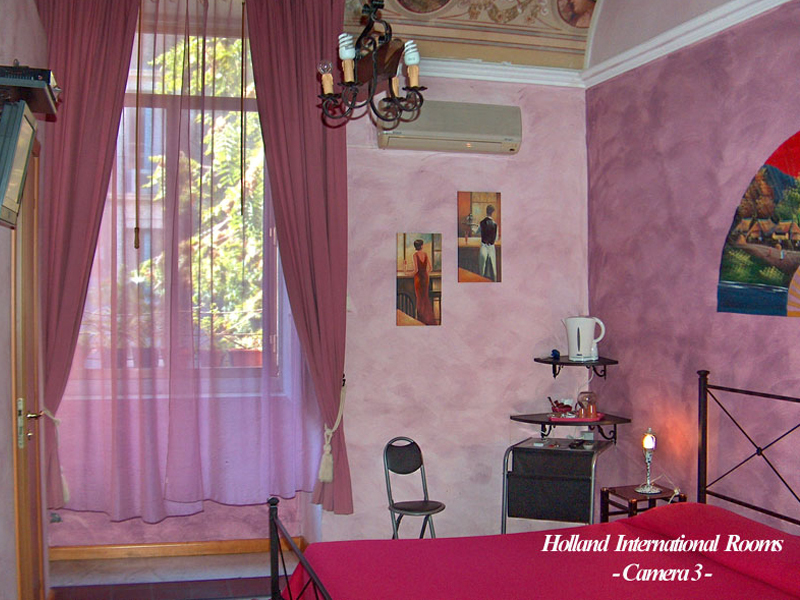 The ample and sunny rooms available are mostly decorated with original frescoes. 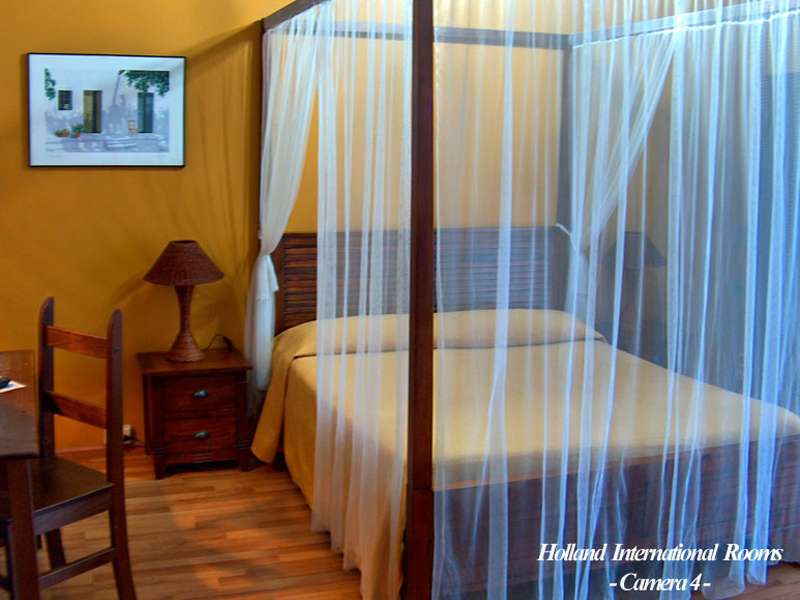 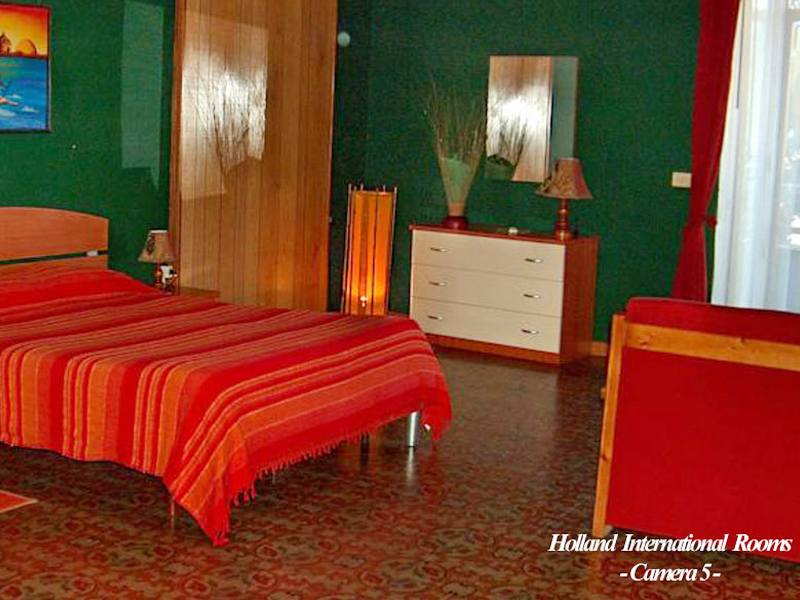 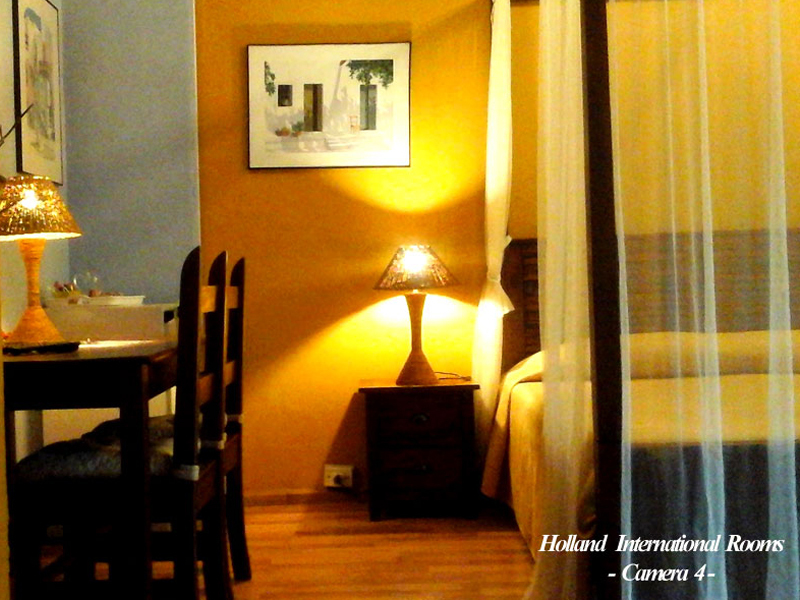 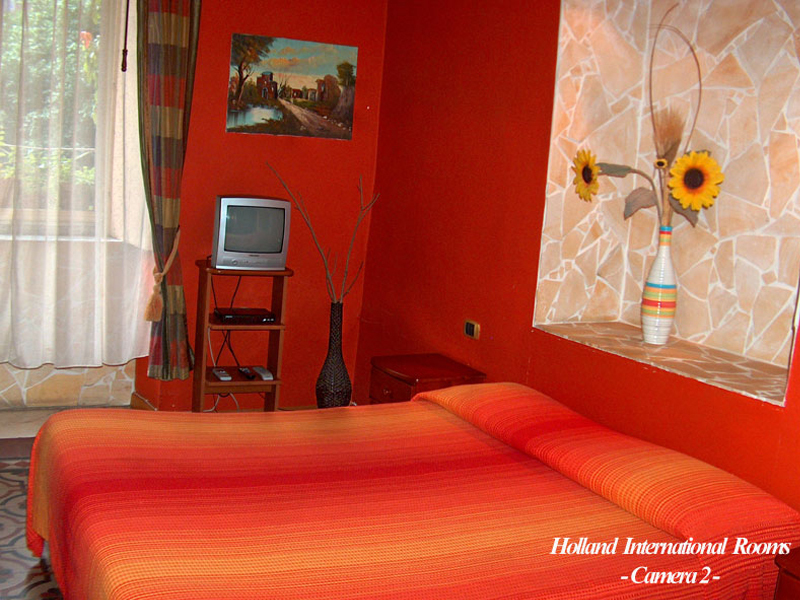 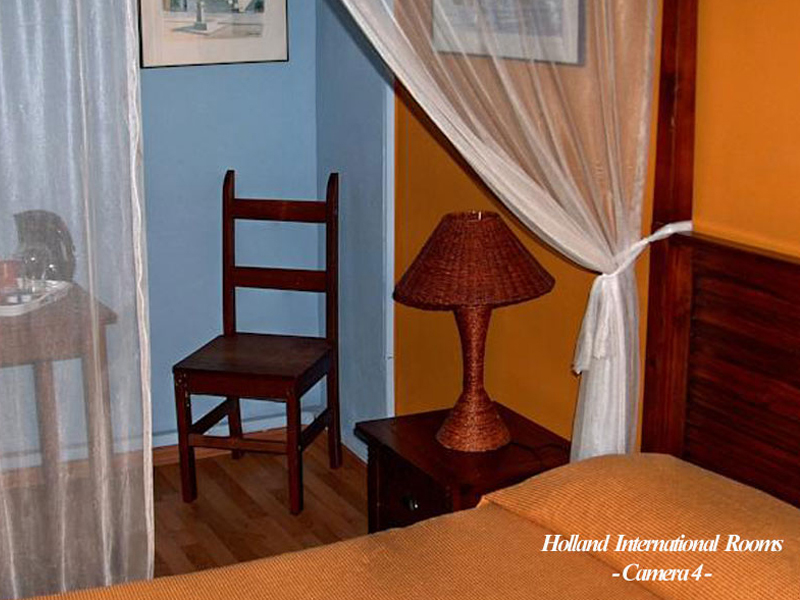 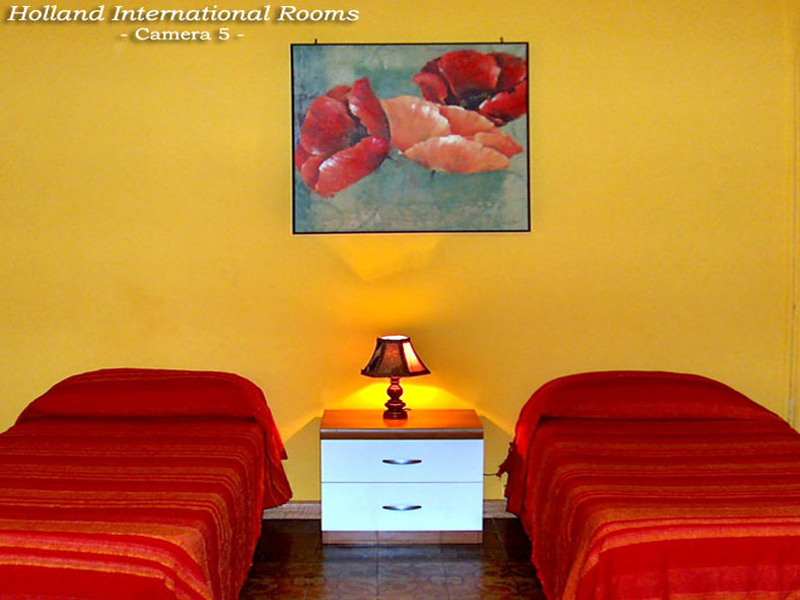 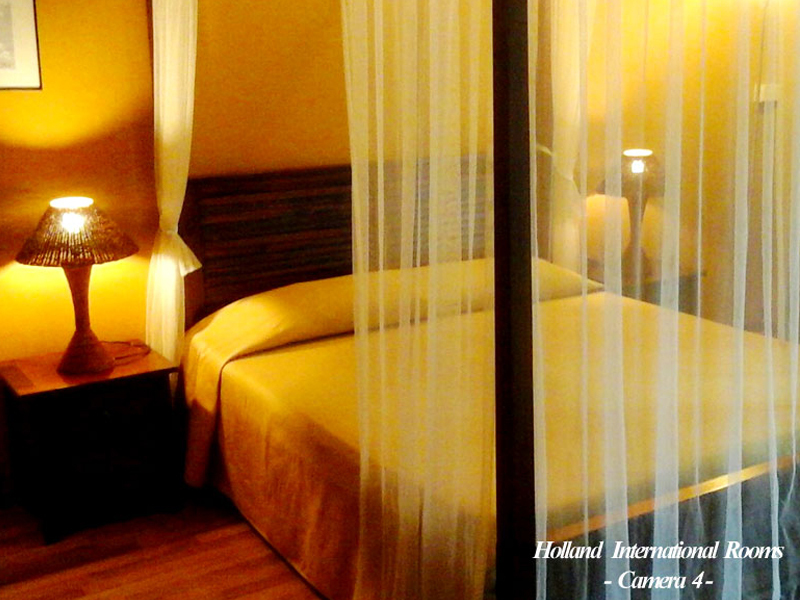 The rooms are equipped with heating, air conditioning, satellite TV, Internet Wi Fi and tea-coffee making facilities. 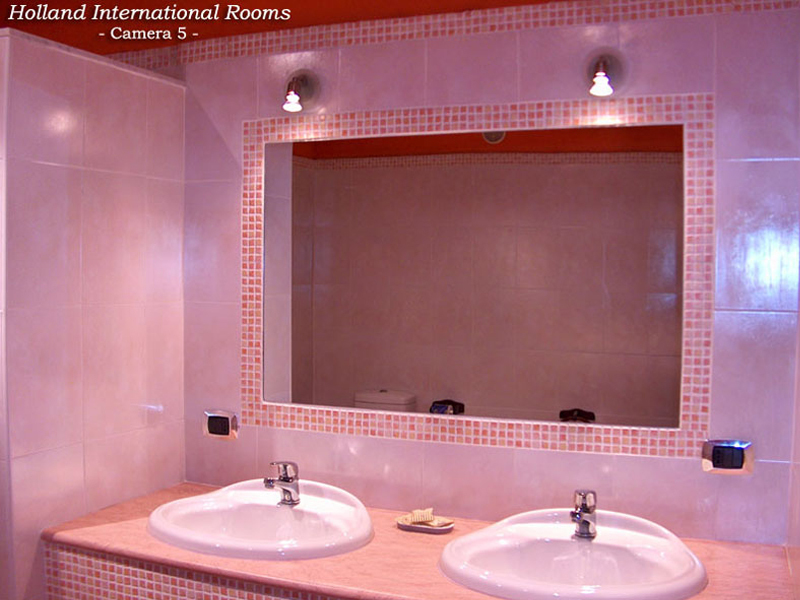 You can choose between rooms ensuite or rooms with a shared bathroom (shared exclusively between 2 rooms). 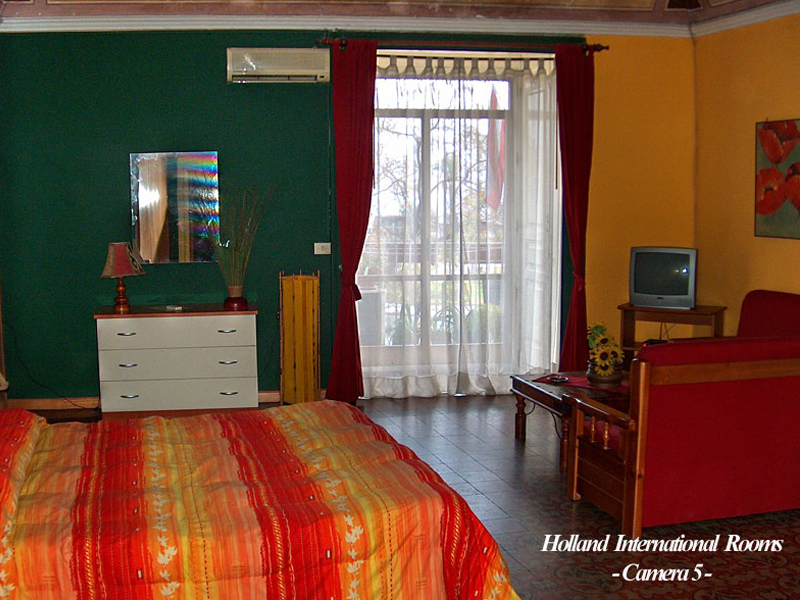 The palace faces the sea, so some rooms have a pleasant view of Ionian Sea while others benefit from the peace of the large internal courtyard.  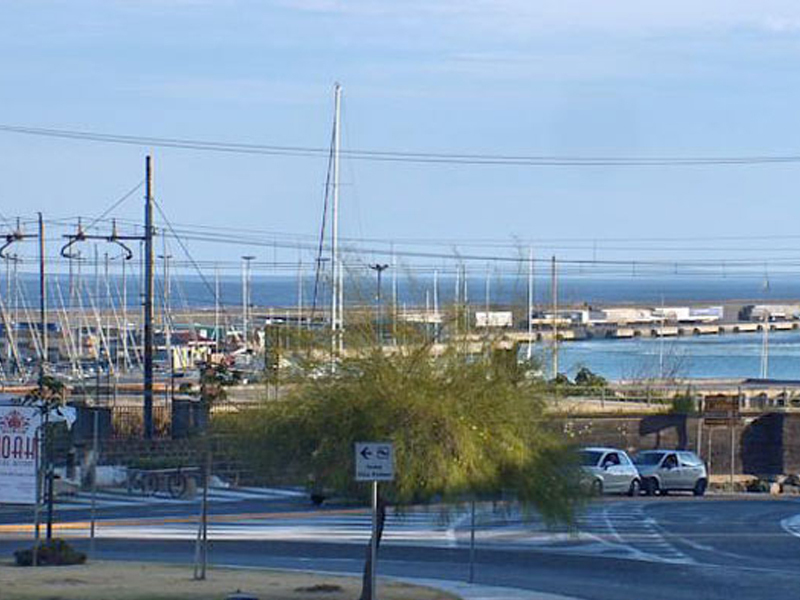 Car parking is available at no cost. 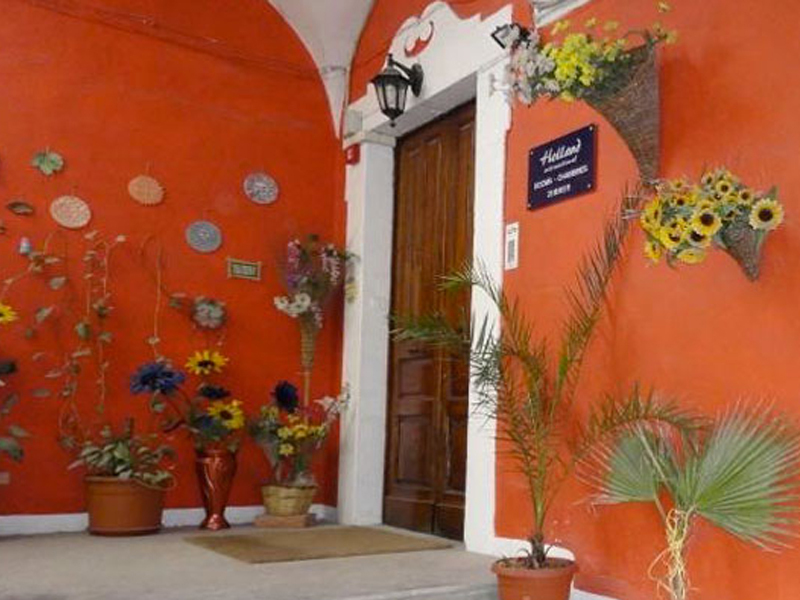 To reach us from the Airport: Our Guest House is 7 km from Airport "Vincenzo Bellini" (ex Fontanarossa) of Catania. 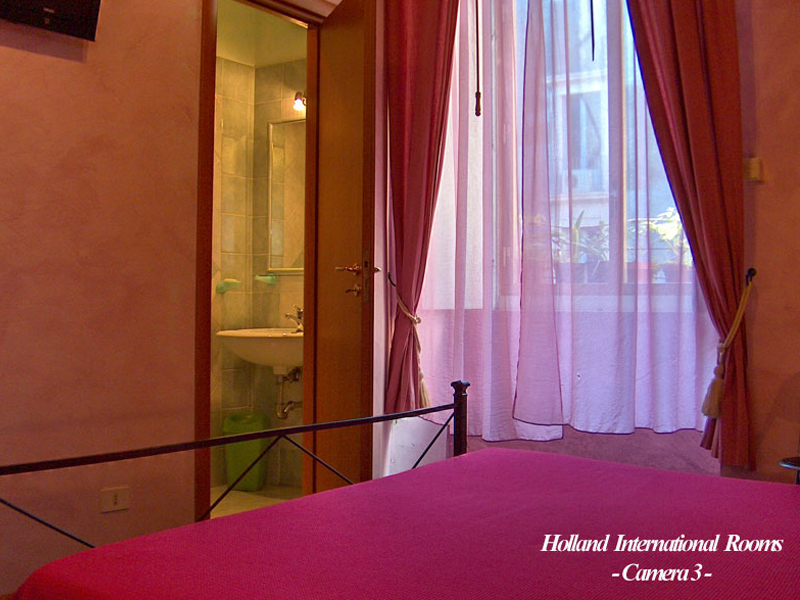 To reach us you need to take bus line 457, serviced by Alibus, and exit at the bus-stop on Piazza Martiri della Libertà. 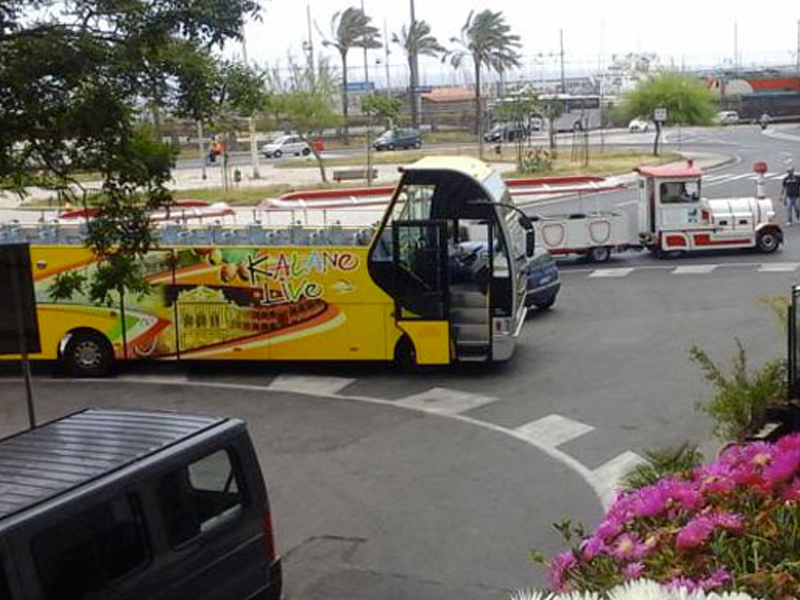 Bus 457 departs every 20 minutes from 5:00 a.m.to 12:10 a.m. For further information please visit. 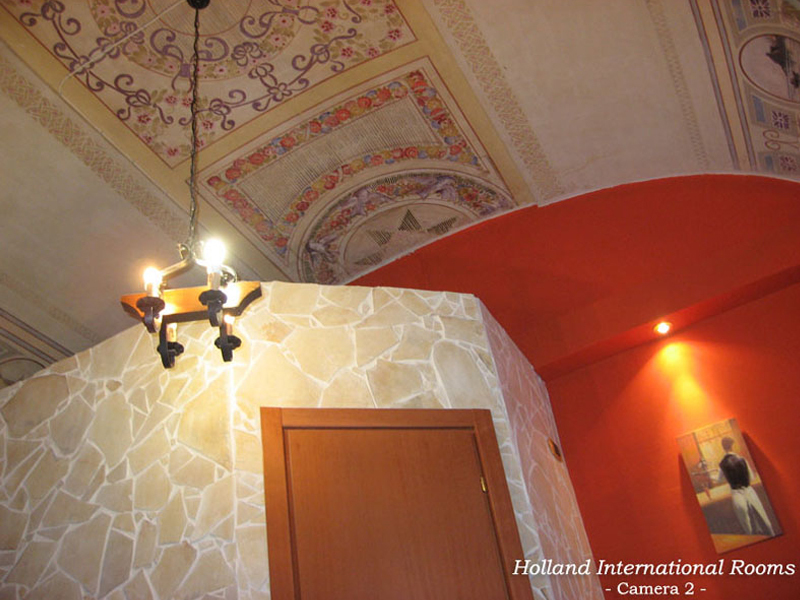 To reach us from the train Station: The train Station is 400 m from the Guest House, so it is possible to reach by foot, going through Via 6 Aprile up to Piazza dei Martiri. 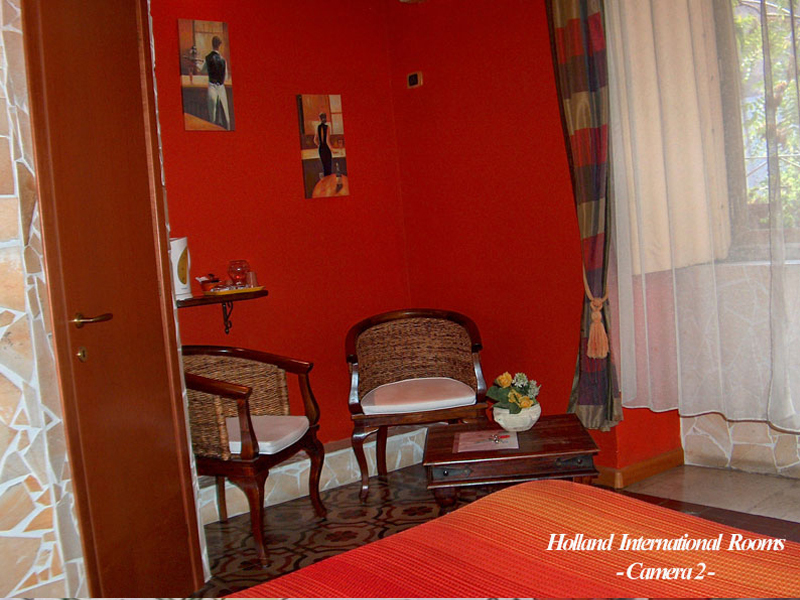 The Guest House is in Via Vittorio Emanuele II n° 8 If you want to take the bus, there are many lines and it is just two stops: go to.